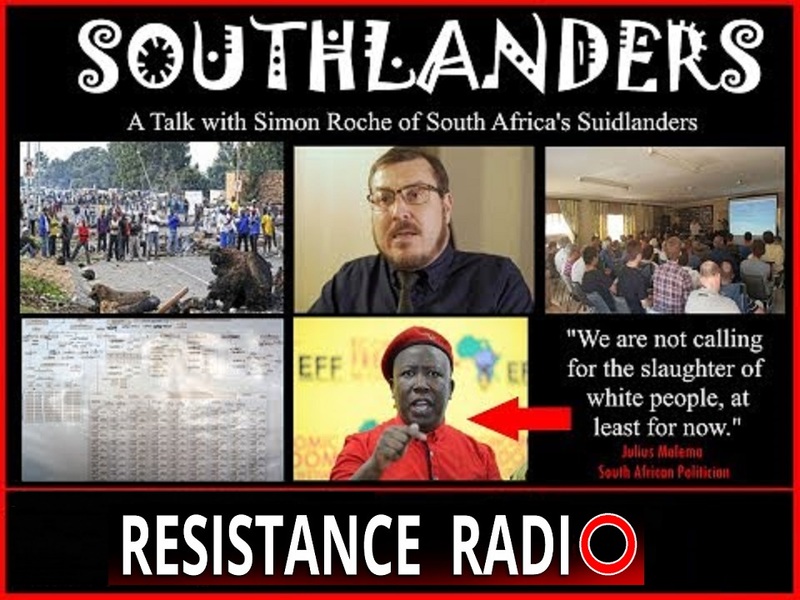 Simon Roche represents Suidlanders of South Africa, the world's largest NON-STATE civil defense organisation. His role is to oversee the implementation of his nation’s (SA) National Emergency Plan in an anticipated civil war between the nations majority and minority poulations. He’s been touring the US for more than five months, endeavouring to shed light on what white south Africans face, as well raise funds for their cause. Simon sits down with Jack Sen to discuss the Unite the Right event in Charlottesville that saw the deaths of two police officers (allegedly) and one ilegal Antifa counter-protester (allegedly). In fact Simon was in attendance on the day as an observer, and is on Resistance Radio to tell us exactly what he saw. It is fair to say that the Left, mainstream media and Virginia state government have blood on their hands. Jack and Simon start the conversation discussing the current state of South Africa, the "Black Economic Empowerment" strategies decimating the once propserous country and what we should also expect in the West as the demographic reality of our future plays out.